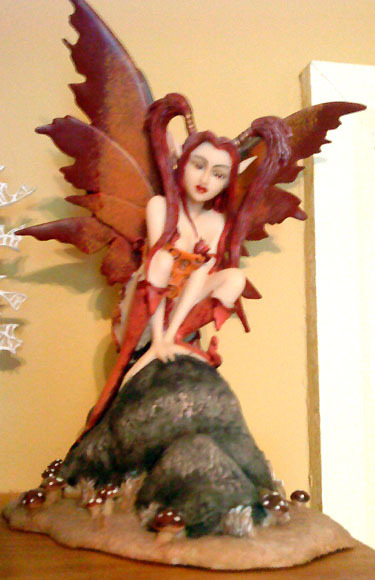 I am Vicky I started gaining in an interest in fantasyin the early 90's when I was about 11 years old. 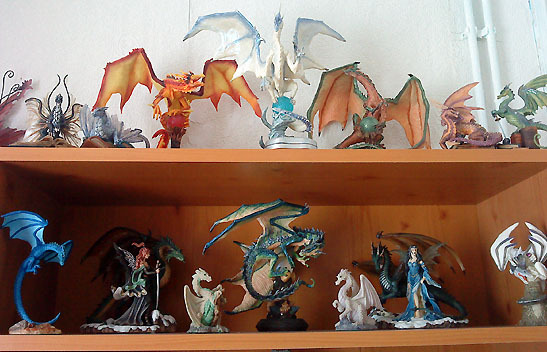 My dad was an avid collector of enchantica starting with Snarlgard 1st edition and from there he was hooked. 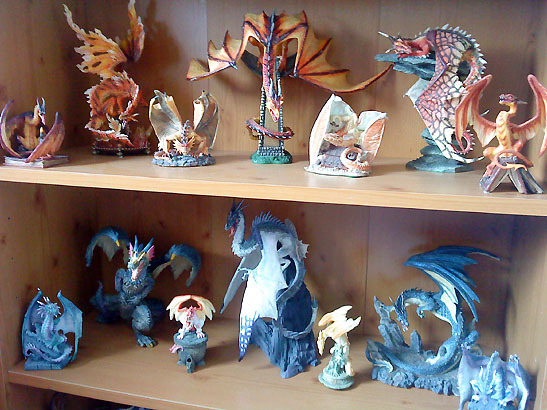 I herited the collection from him last year when I moved into my first home with my husband. 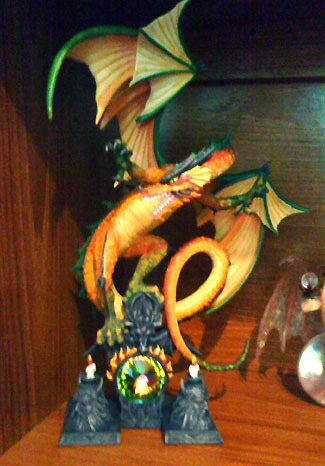 From here I have been trying to complete certain sets he started like the guardian's of the stones and I recently completed the seasons dragons. 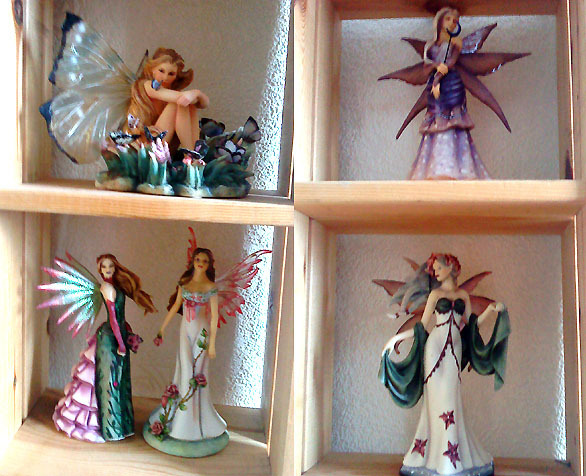 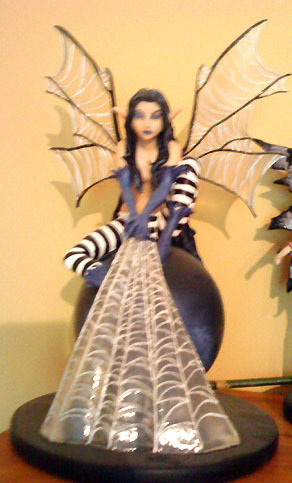 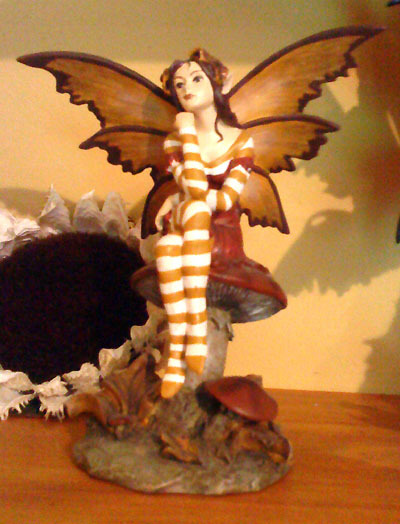 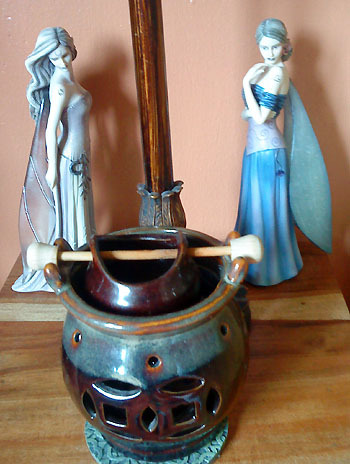 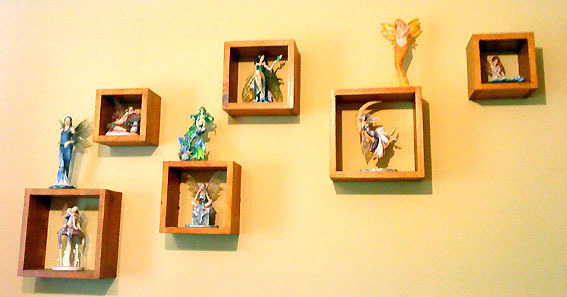 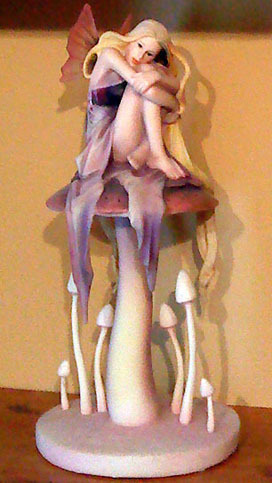 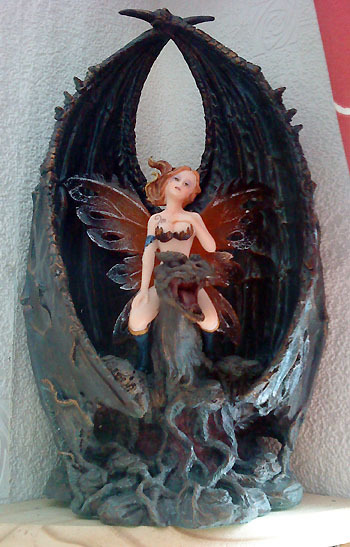 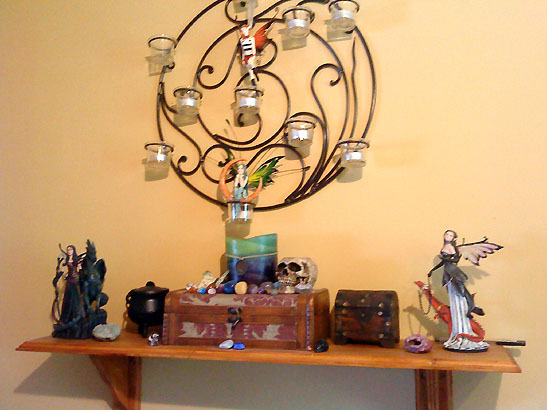 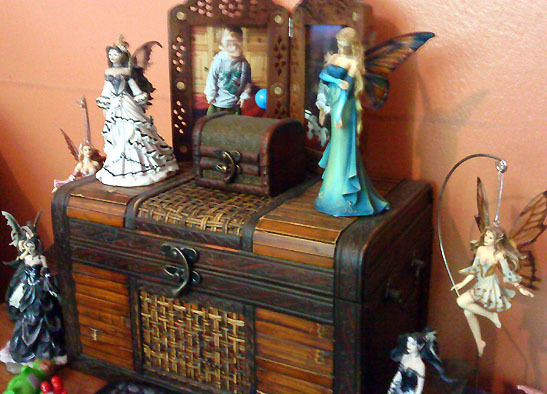 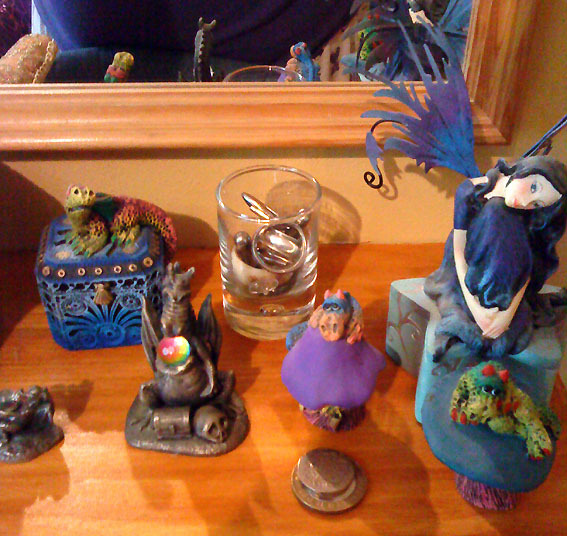 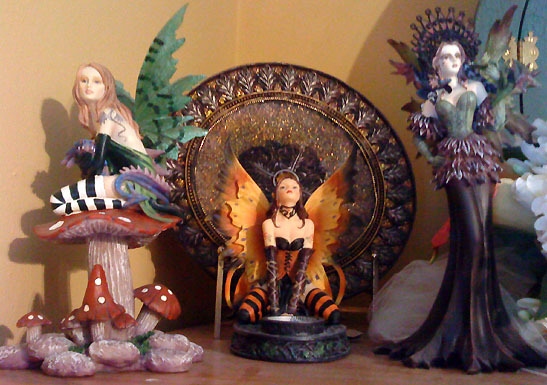 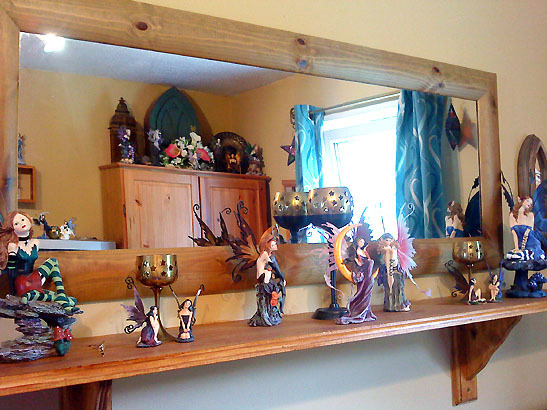 I have also been collecting fairies for about 3 years now too I stumbled across the works of Amy Brown, Nene Thomas etc and started buying the pieces based on their works. 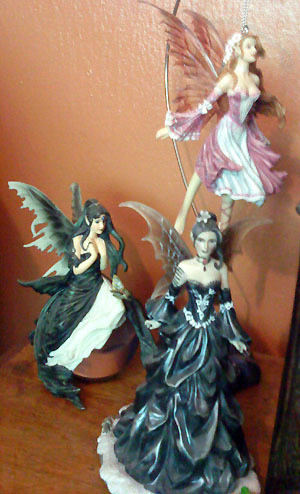 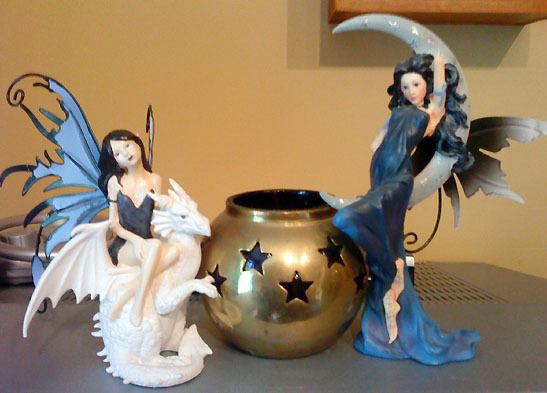 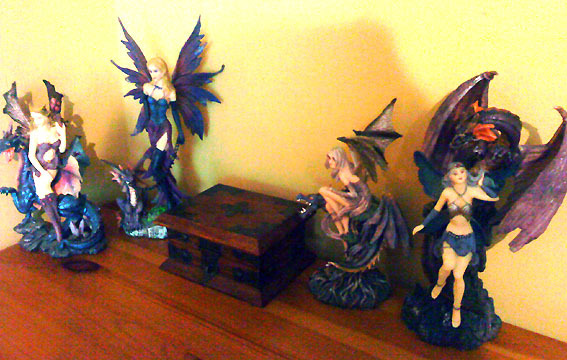 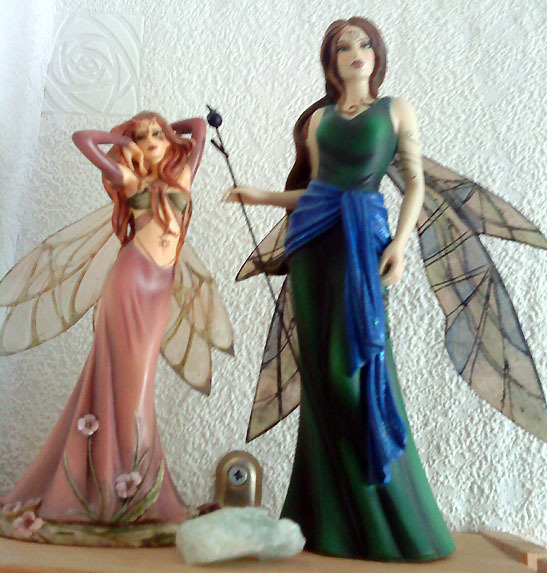 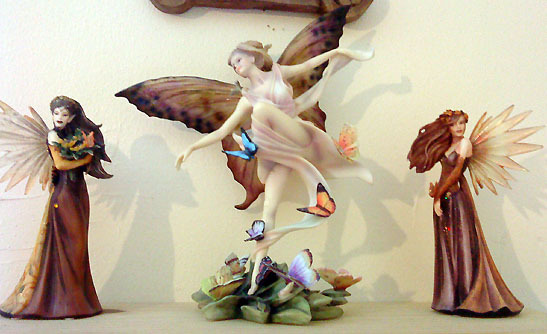 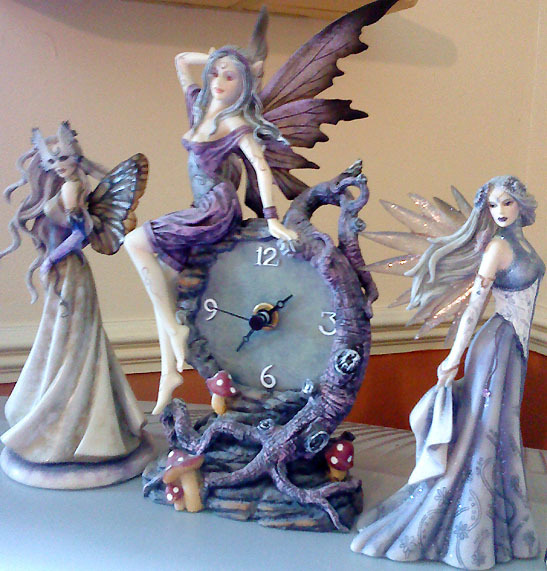 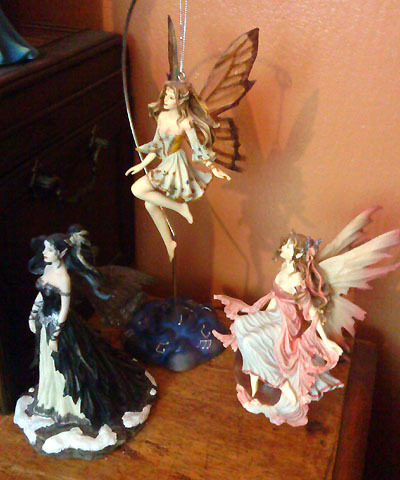 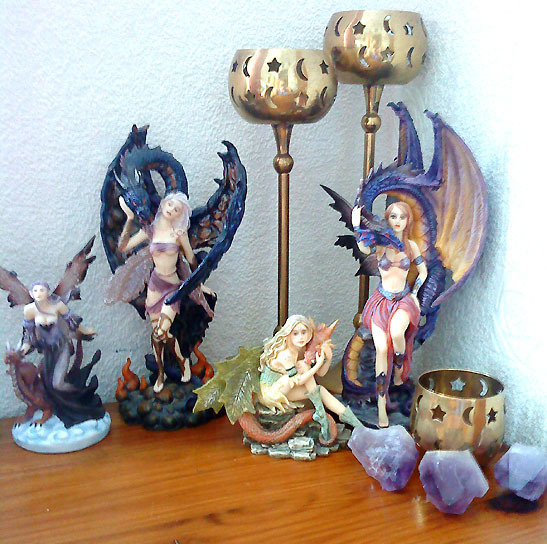 Some of my favourite fairy pieces are Amy brown Spinner and my selina fenech littlest fairy. 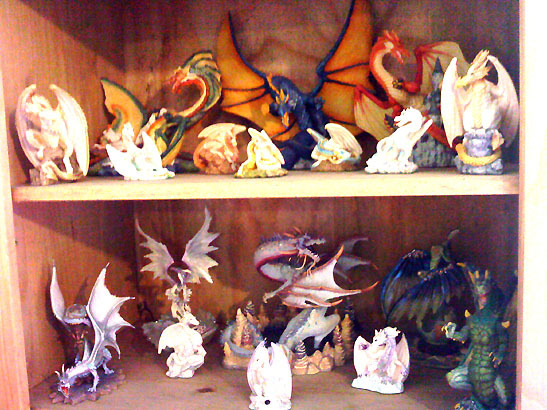 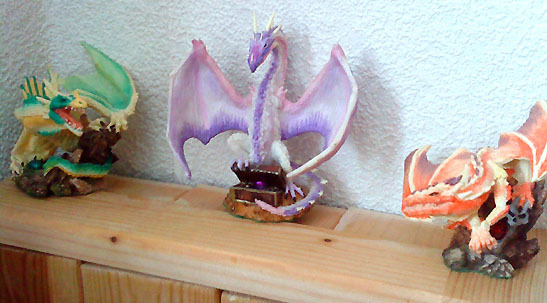 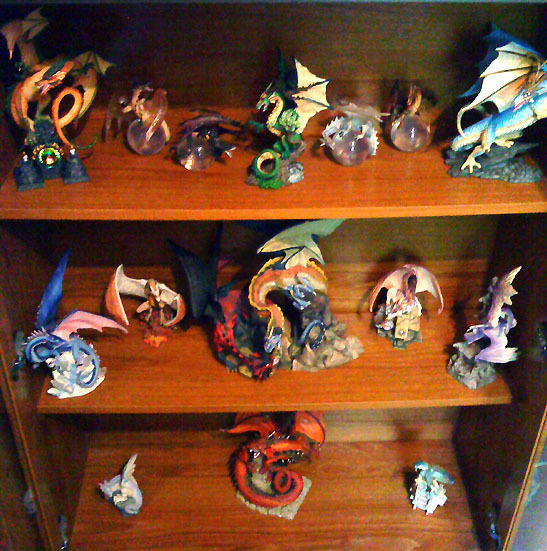 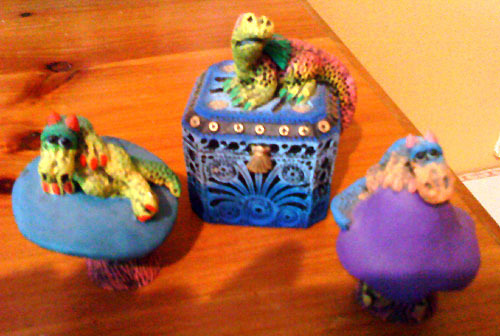 I am however more into my dragons, they have interested me since a young age. 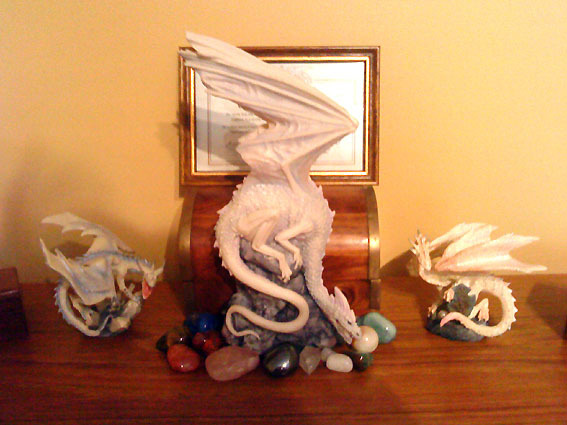 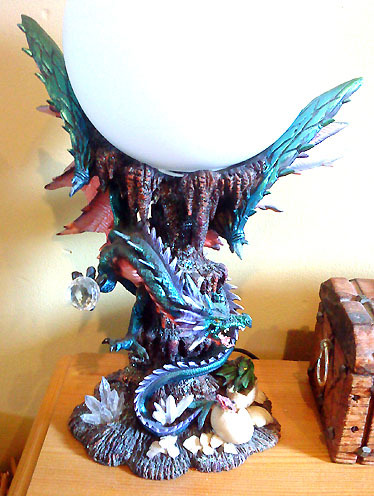 I have many favourites in my dragon collection but I am most proud of my gatekeeper which is the number 1 of the 750, I actually came across the piece by accident and so was pleased to finally have a 1st! 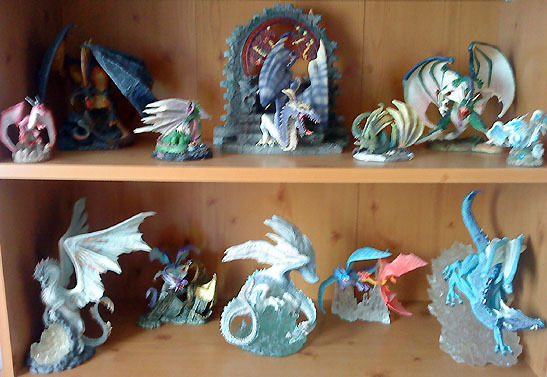 Thanks for looking at my collection.